What happens when the tree intended for Rockefeller Center is highjacked? In The Christmas Thief by Mary Higgins Clark, for Alvirah Meehan and her P.I. co-conspirator, Regan Reilly, it means time to get back on the case and find the tree. Could there be more to this particular tree than they know? 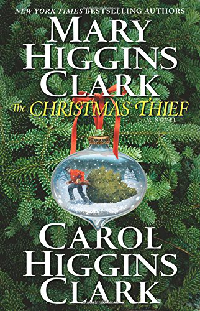 The Christmas Thief is the third novel co-authored by Mary Higgins Clark and her daughter, Carol Higgins Clark.